Foodies need not be offended with the name of the restaurant, but Mini Punjab Restaurant truly stands to its name. Killing the demons of your hunger, this restaurant will turn out your saviour. The restaurant caters North Indian, Chinese and South Indian cuisine with plenty of options in rice and curries. The restaurant also offers ranges in mocktails and mixed drinks. 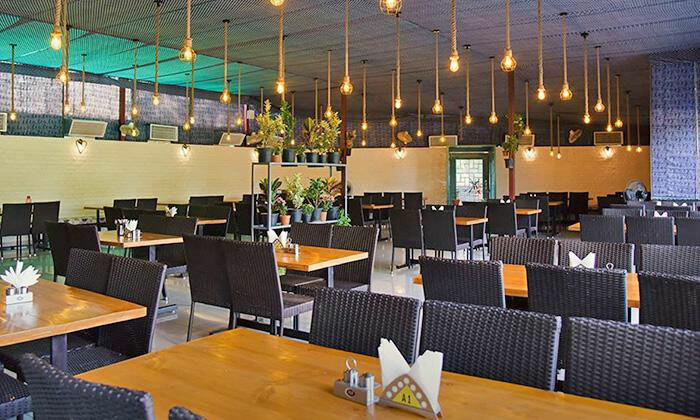 And aware of the fact, a typical Punjabi food cannot end without cold beverages, the restaurant offers some soothing and traditional Punjabi beverages. The ambiance is elegant with indoor and outdoor seating arrangement available. So come along with your loved ones, and together get your hunger demons destroyed at this place.